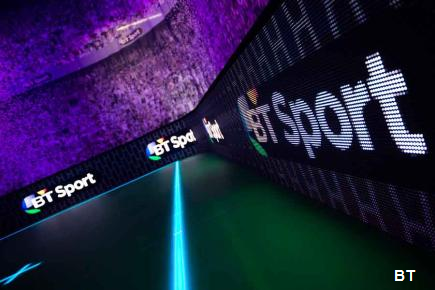 Update | Some Freeview viewers will now get access to a high definition version of BT's free-to-air sports service BT Showcase. The channel is best known for showing a selection of free Champions League and Europa League fixtures each season, but has also featured a small number of other sporting highlights and drama series from AMC UK since its inception. BT Showcase HD has been added to Freeview channel 115. However coverage is limited to around 3/4 of the UK: Viewers who can already receive Freeview HD channels such as the QVC HD shopping channels on 111 and 112 and Hindi channel Colors HD on 114 will be also able to get BT Showcase HD. A Freeview HD compatible TV or box is required. Viewers outside of the coverage area for BT Showcase HD can continue to see BT Showcase in standard definition on channel 59 until 9th May, when the channel will be turned off. As a result, fewer viewers will be able to watch the channel. From next season, free-to-air coverage of Aviva Premiership Rugby, - selected live games where previously shown on the channel - will move to Channel 5.